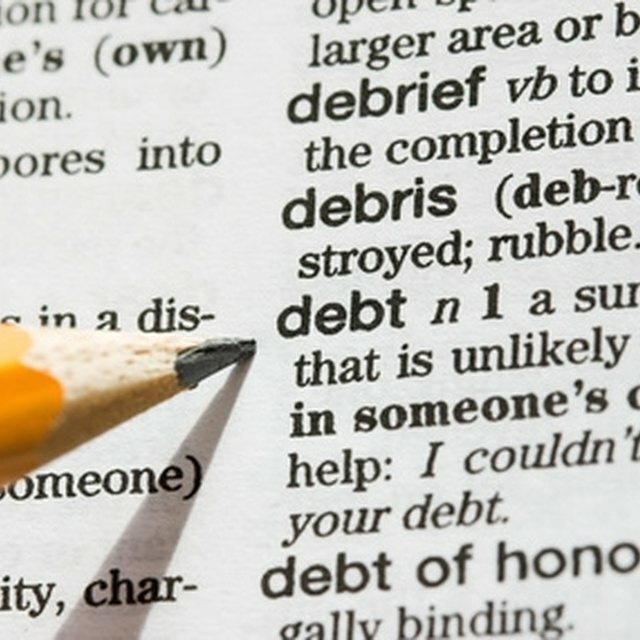 Can a Warrant Be Served for Bank Debt? Many people who fall behind on their debts are afraid that the failure to pay back your creditors may result in a jail sentence or arrest warrant. This is not the case. In the vast majority of situations, the state will not issue a warrant for your arrest for bank or other forms of unpaid debt. Talk to a lawyer if you need legal advice or have questions about the laws in your area. When you enter into a debt agreement with a creditor, such as a bank, mortgage company or other lender, you agree to pay back the money the lender gives you. Sometimes, such as when you get a car loan, you agree to give the creditor a security interest in your property. If you default on the loan, the creditor can then take the secured property by repossessing the car. In other situations, such as a credit card, you do not provide a security interest and the creditor cannot take your property without first suing you. If you get sued by your creditors, you may be subject to a civil warrant, another name for a summons. Once your creditor sues you, it has to tell you it filed the lawsuit and provide the date in which the court will hear the case. The summons contains this information and tells you when you have to be in court. If you do not show up in court, the creditor can receive a default judgment, meaning the court will declare the creditor the winner in the lawsuit. An arrest warrant, or search warrant, is a judicial decree authorizing the state to take someone into custody or conduct a search. The judiciary issues warrants as part of the criminal justice system. Judges issue arrest warrants after the government has presented the court with reason to believe a crime has been or is about to be committed. A creditor cannot ask a court to issue an arrest warrant. However, there are some debts for which you might be subject to arrest of have a warrant issued for your arrest. If, for example, you write a bad check or commit a crime involving debt, you can be arrested for this crime. Also, if you are charged with a crime and fail to appear for a court date, the court can issue a bench warrant for your arrest.